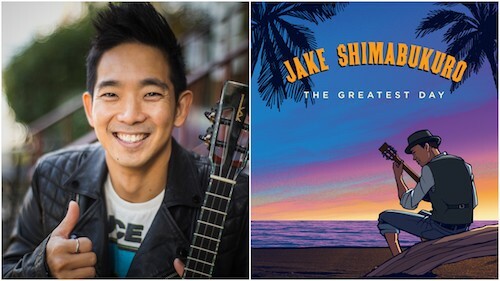 “The Jimi Hendrix of the ukulele”, Jake is known for having virtually reinvented the four-string instrument, and has over 20 solo albums to his name. Ruth Copland talks to Jake about what drew him to the ukulele; how he goes about writing original compositions; his creative arrangements of classic songs; what inspired the new album ‘The Greatest Day’; whether music can have a healing effect; how he keeps his feet on the ground amidst the fame; and much more. Three songs from ‘The Greatest Day’ are also featured. 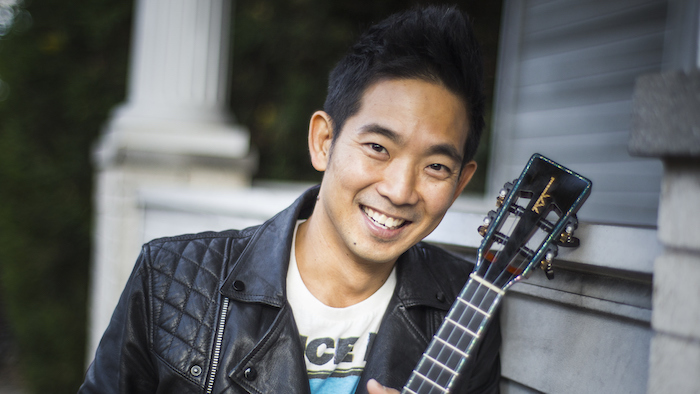 Award-winning and internationally renowned ukulele virtuoso and composer Jake Shimabukuro first came to the world’s attention with his deeply beautiful and original take on George Harrison’s “While My Guitar Gently Weeps” in a viral video that dominated YouTube in 2005 and has received over 15 million views. Fans around the world delight in his virtuoso approach to the ukulele. Albums such as ‘Gently Weeps’, ‘Peace Love Ukulele’ and ‘Grand Ukulele’ have topped the Billboard World Music Charts, and as a live performer Jake is one of the hottest tickets around, headlining the Hollywood Bowl, Lincoln Center and the Sydney Opera House even performing for the Queen in England. He has also made frequent appearances on on TV shows like The Today Show, Good Morning America, Jimmy Kimmel Live! and Late Night with Conan O’Brien, and has written the soundtrack for two Japanese films. Despite his success, Jake remains committed to community frequently performing in schools in Hawaii and overseas, as well as lobbying for increased music education. Jake’s latest album is ‘The Greatest Day’ recorded at Music City’s famed Ronnie’s Place Studio.